Business Process Reengineering (BPR) is costly, time-consuming and risky. 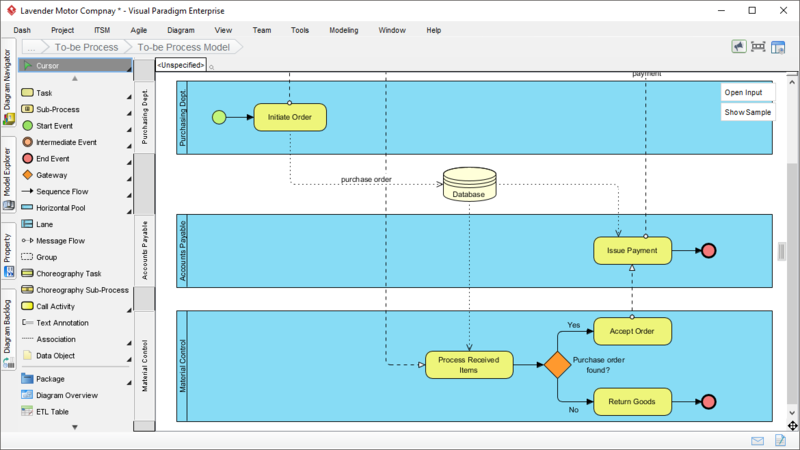 Our process management capabilities let you design, plan and assess BPR in a single process map, ensuring project data can be easily accessed and evolved throughout the entire BPR process and that business process can be transformed seamlessly and error-free regardless of the scale of your operations. That means you can fully focus on process redesign, eliminate hours of unnecessary documentation and communication, and make more efficient use of your valuable time. 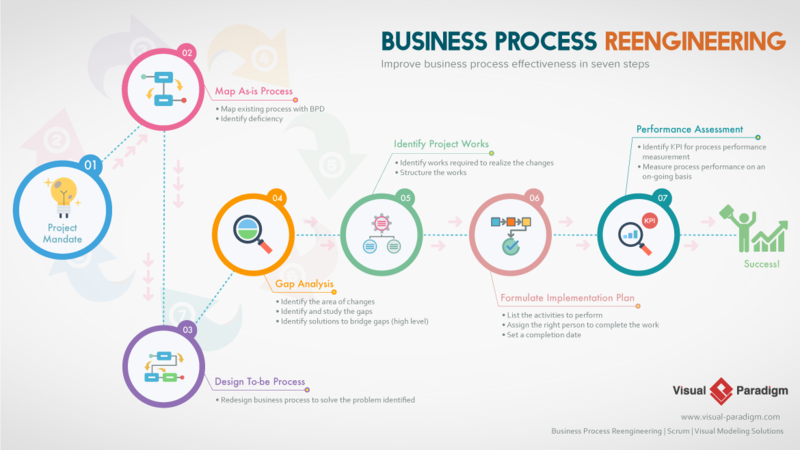 The Business Process Reengineering Canvas presents the BPR activities in an organized manner. 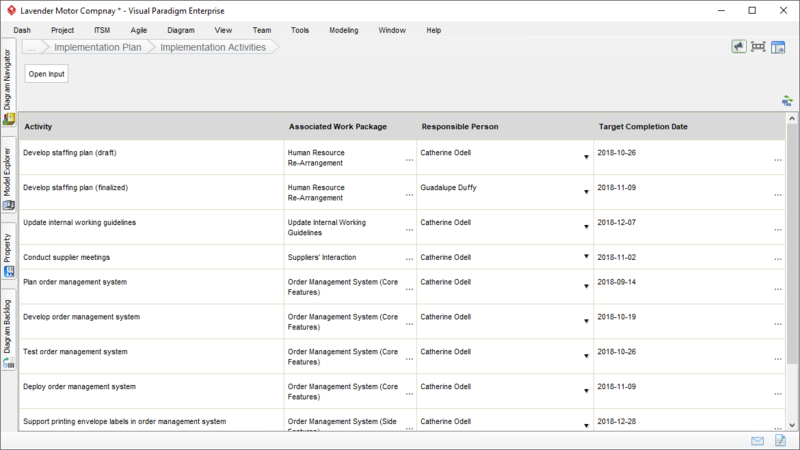 To start working on a work item, simply click on it to browse for its steps. Perform the activity by following the steps given. 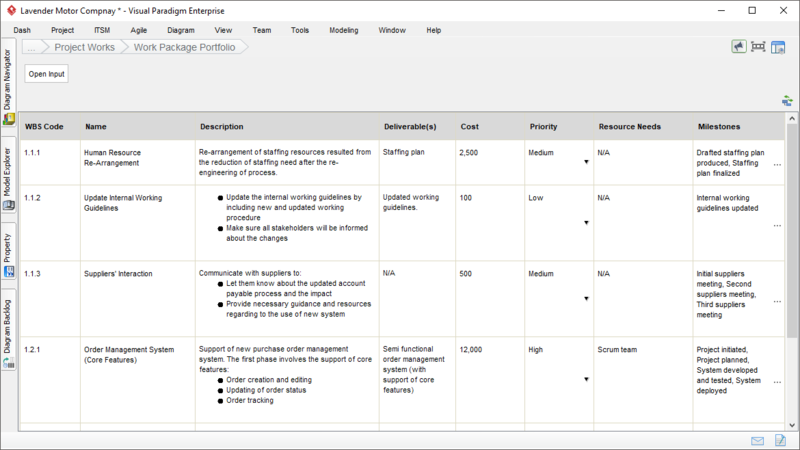 Depending on the work item, you may be asked to fill-in a table, draw diagrams or so. 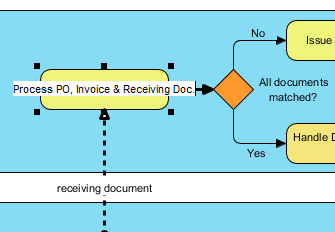 Effectively communicate ideas the with documents generated from the information gathered under work items. 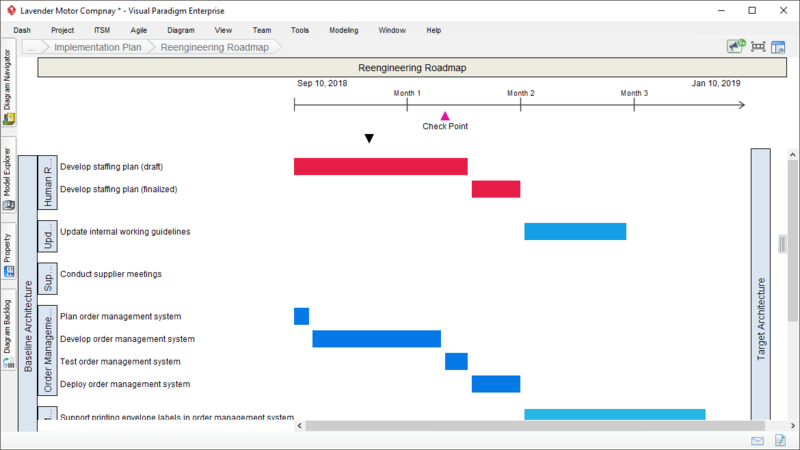 Step-by-Step guide on process reengineering. You are guided throughout the entire transformation process, from planning through implementation and monitoring, which saves your time and cost and reduces risks. 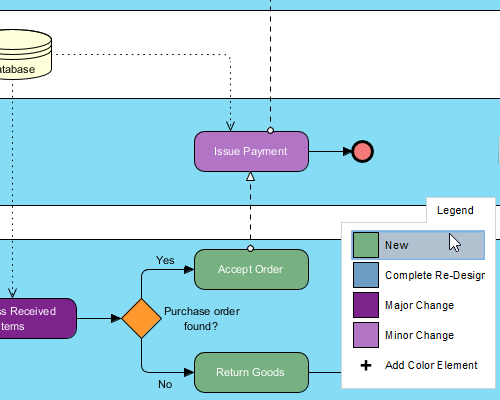 Map and analyze current process. 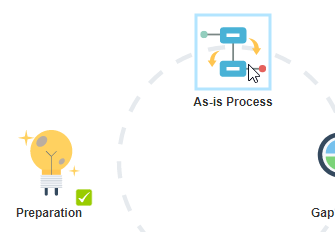 Build an as-is model that helps you analyze the existing process. 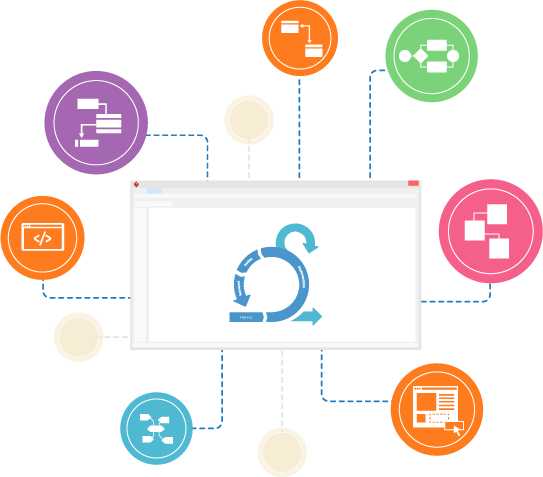 We provide a powerful BPMN tool that allows you to build the model and identify bottlenecks quickly and easily. 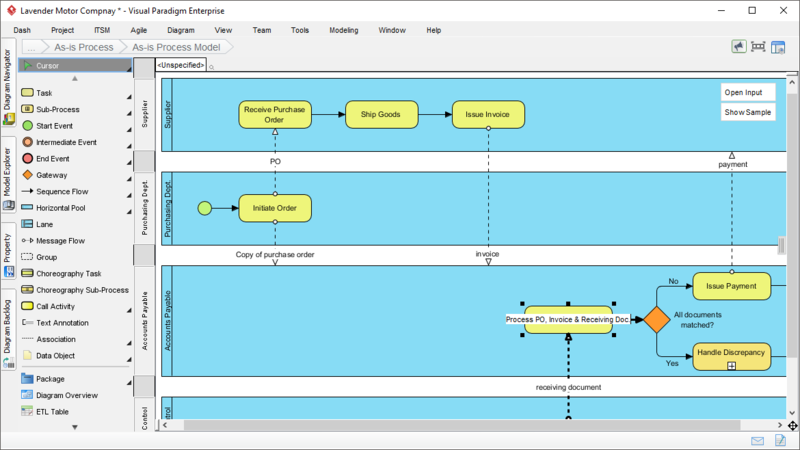 Quickly build a to-be process model for visualizing the desired business process. You may import the as-is model as base and make changes, or to start from scratch. Deepen the understanding of problems by analyzing the time and cost (e.g. Activity-Based Costing) of activities. 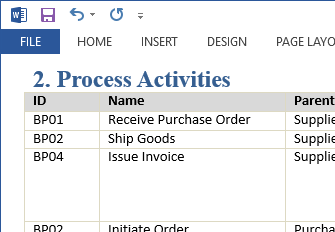 Document the finding in a table that will become part of a process report. 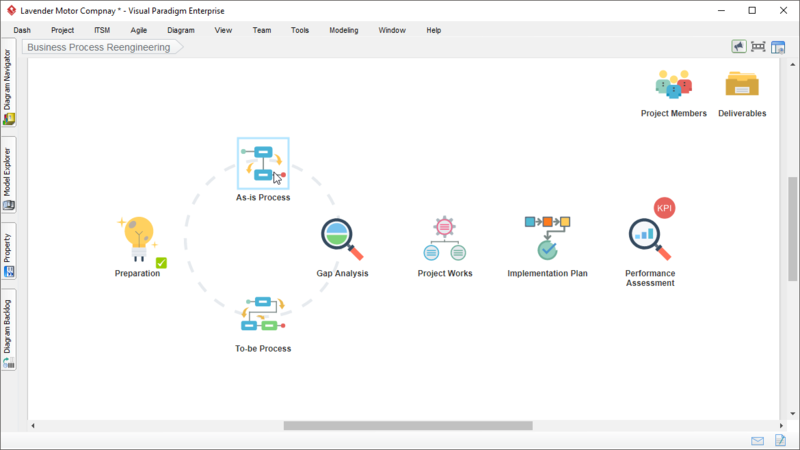 Discover where an organization's process, software and skills and more are falling short with the use of the gap analysis tool. 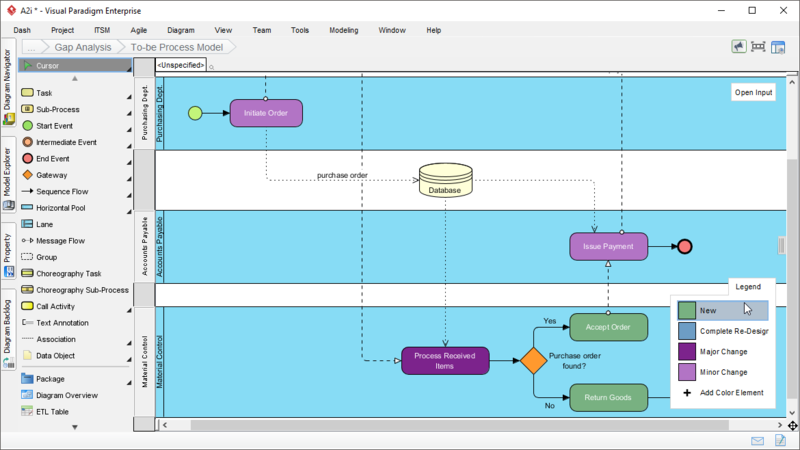 Visualize the gaps between as-is and to-be model with a colored map. By skimming through the map, readers can easily know where and what kind of improvements need to be made. Detail the area that fall short. Outline the reasons and start to plan for improvements. 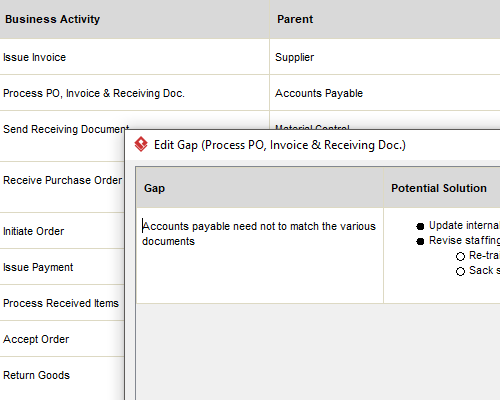 The BPR tool helps you manage the gaps and solutions in an organized manner. 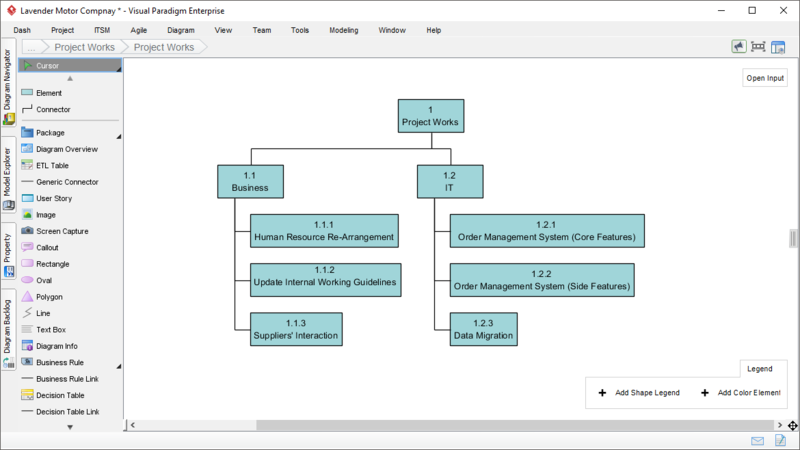 Build a work breakdown structure to structure the work needed to get from the current state to the desired state. 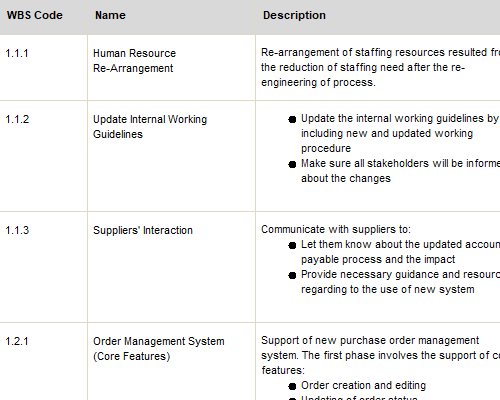 Identify a set of work packages that would lead to efficient and effective implementation re-designed process. 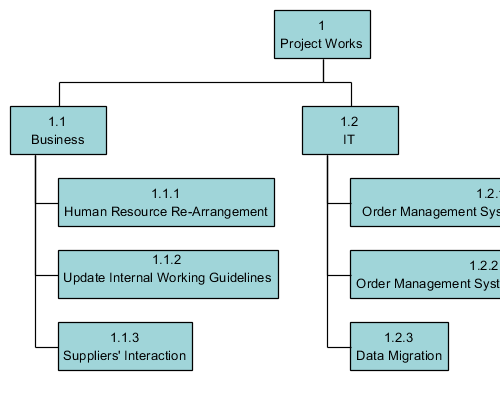 Structure the result in a work breakdown structure. 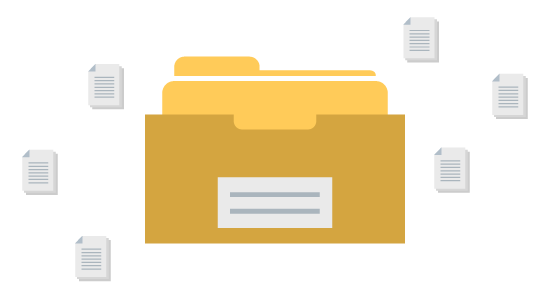 Detail the work packages by completing the work package portfolio, which establishes the base used to estimate the duration and cost of the project, determine the required resources and schedule works. Clearly list the implementation activities for progress tracking and monitoring. 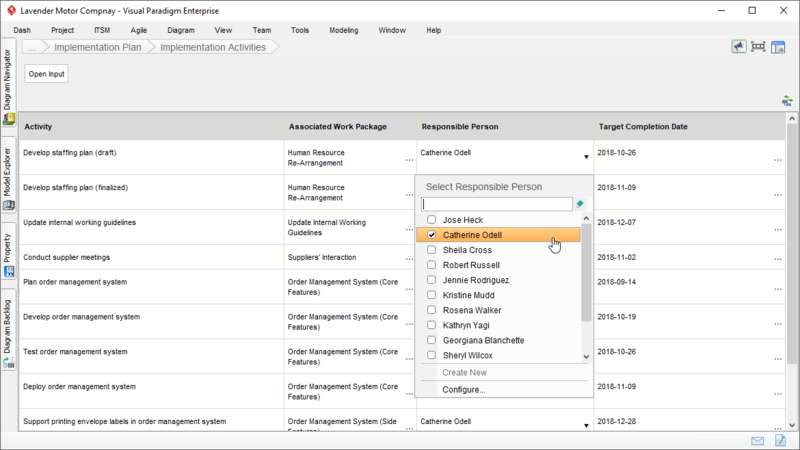 State the work packages associated, the responsible person and the target completion date. 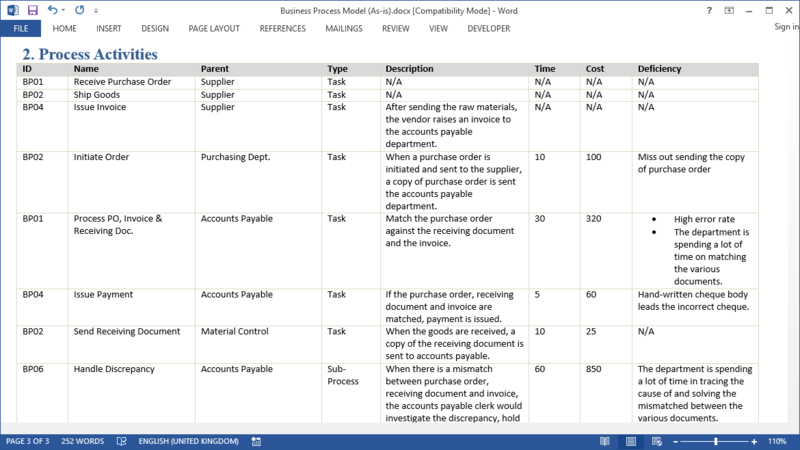 Gain an overview of the activities needed to reengineer your business process. The best part? The roadmap is auto generated - No manual editing is needed! 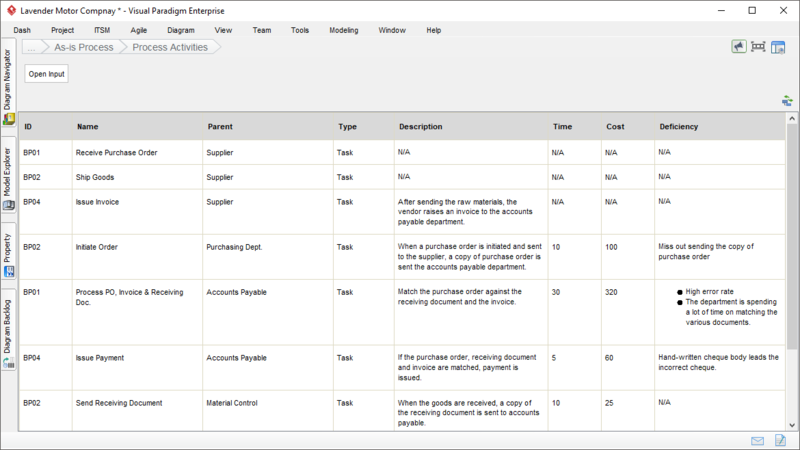 Define and maintain a list of KPI that suit your business and process. Assess the process's performance on an on-going basis to ensure the effectiveness of process adoption. 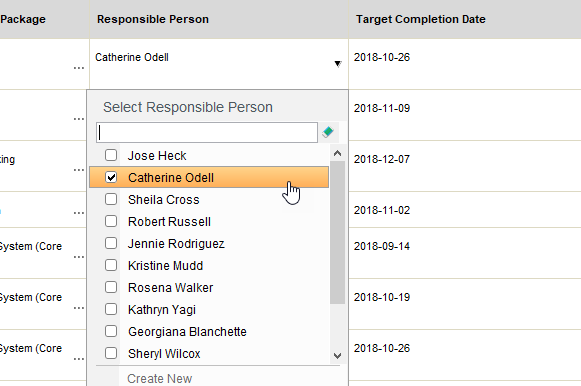 Keep a list of the people who take part in the reengineering work. Link them with the various part of the process (e.g. as responsible person of implementation activities). 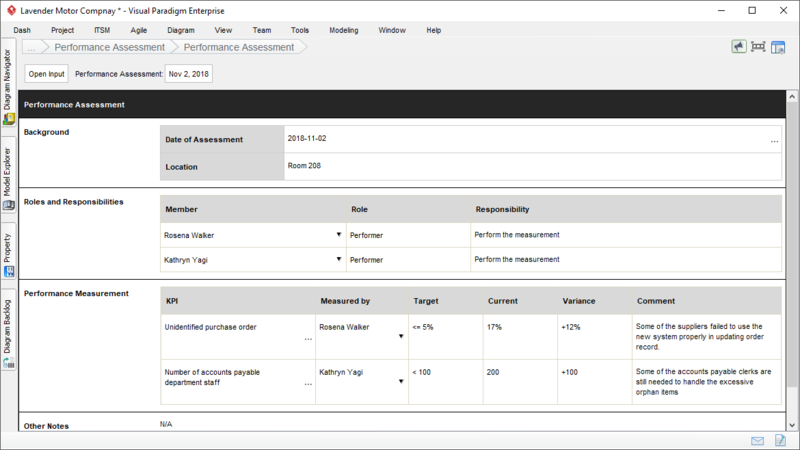 Generate reports for as-is and to-be process model, gap analysis, KPI, performance assessment and more. 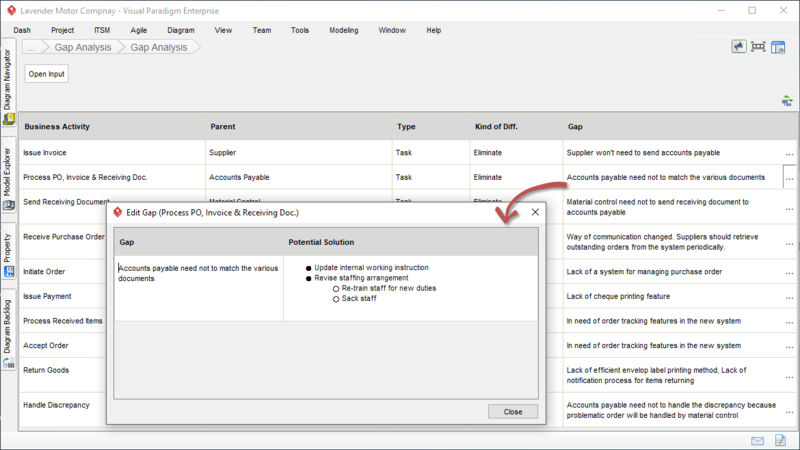 Retrieve documents from a visual BPR cabinet. 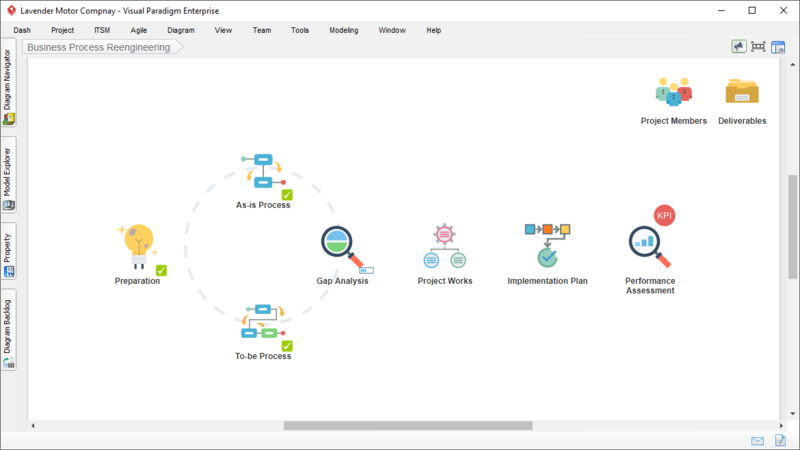 Power up your business process transformation with Agile, UML, ERD, DFD, UX (wireframe, prototyping), mind mapping and more.